Get married in the beautiful country Nepal. Traditional and religious way of marriage. The Unique Cultural Music – Panche Baja. Get Married in Nepal !! Nepal is amongst the best luxury wedding destination in the world. Enjoy a traditional Nepalese wedding ceremony where the Bride & Groom are taken to the Mandap, a canopy embellished with flowers where the wedding ceremonies are held. Himalayan Pilgrimage Journey has designed the perfect mix of Nepalese colors, customs and culture along with fun of the modern era. Wedding ceremony in Nepal is considered as the spiritual connection between two mortal beings, which is believed to last for 7 next life. A local religious priest attend to perform the traditional wedding ceremony and the area is adorned with different flowers and leaves. The experience is further enhanced by the blessings and traditional attire. 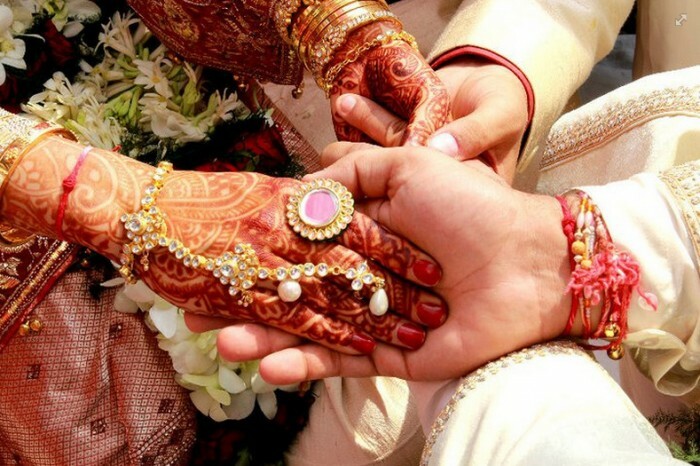 According Hindu mythology, Marriages are made in heaven and as you are married , the bonding will last for seven lifetimes. It is believed to the next life of a person as he enters the second important phase – “The Garhasthyaashram”. Hindu ceremonies are long processes – there are various processes and rituals which may take whole day or more to be executed. The every process and ritual performed has deep philosophical and spiritual importance. Contact us for memorable wedding ceremony in Nepal!!! 4 nights accommodation in star rated hotel in Kathmandu. 2 nights accommodation in star rated hotel in Pokhara. Typical Hindu Wedding dress for both bride and groom. Wedding venue and its decoration. Photo and video recording by professional. Kathmandu- Pokhara – Kathmandu Flight cost. All other expenses not mentioned in the cost included section. Welcome to Kathmandu. You will meet our representative on arrival to Tribhuwan International Airport. You will be transferred to the hotel and there will be detail briefing about your wedding program. Today is your wedding day. All the arrangements as planned earlier will be will be organized by Himalayan Pilgrimage Journey. Venue, Dresses, foods and drinks, vehicles, music, priest and everything will be arranged as planned before. The wedding ceremony is about 4-5 hours long and after that you will be transferred to Hotel. After breakfast in the early morning the newly married couple will enjoy one hour short and beautiful mountain flight enjoying the great mountain vistas. The one hour mountain flight offers you the incredible views of high mountains including Mt. Everest – Highest peak in the world reaching the altitude 4,848m. After the one hour flight you will visit the ancient and historical sites of Kathmandu valley including Pashupatinath, Bauddanath and Swoyambhunath. You will also visit to Patan Durbar and Bhaktapur Durbar square if leisure time left. Overnight stay in Kathmandu. We will take an early flight to Pokhara that takes us almost 25 minutes. We will go for boating in Phewa Lake and visist Peace pagoda in the evening. Overnight in Pokhara. Today we will head to Sarangkot early in the morning to capture the beautiful sunrise view from the backyard of Annapurna, Dhaulagiri, Machhapuchhre and various other snowcapped peaks. In the day time we will visit to Begnas Lake, Mahendra Cave, Chamere Gufa, Devis falls and Mountain Museum. Overnight stay in Pokhara. Say 06: Fly Black to Kathmandu. Today we will have short fly to Kathmandu early in the morning. You can go for sightseeing in Kathmandu or just go for shopping with your partner. Overnight stay in Kathmandu.